MRMRPHOTO (Tehran, Iran) on 3 February 2010 in People & Portrait and Portfolio. did you compose this situation or it happened randomly? @saeed: She is commonly doing some thing like this when watching TV. I just captured. For more information about this situation I should ask to her parents. Anyway she is really lovely. anyway you make her float in your frame.great. 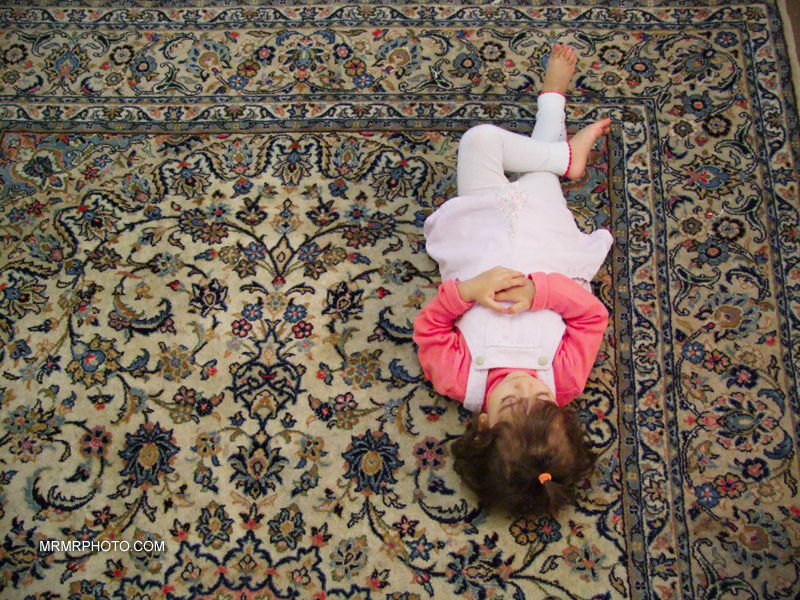 An Iranian gorgeous girl's lying on an Iranian traditional carpet while she is captured by a wise shot. I think although she is too young but she always treats wisely. I just captured. This is so sweet. Kids never stop surprising me! Look at her. She doesn't need any support for her neck; her hands are relaxed like an adult, and the folded knee is just unthinkable. What a pose! I feel relaxed by looking at this photo after a long working day. Thx for sharing. @Homa: You can do lying down like here when you come back to home but I don't suggest you to watching TV.